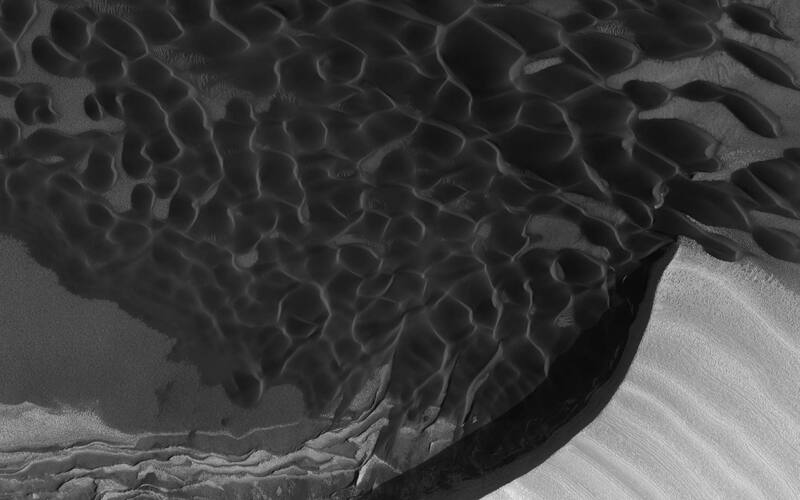 I have been spending some far too much time this past day looking intently at at the absolutely phenomenal sub-meter resolution images taken by the HiRES camera on the Mars Reconnaissance Orbiter, which are freely available for download. The full-resolution JPEG2000 files are whoppers: Some of them easily scale 250MB and half a gigapixel, so if you need an excuse to buy a new computer, this is it. Previous PostDigg is dead. Long live BlinkGeo?Next PostIs there a market for neogeography jobs? Somewhere I remember seeing a WMS URL for a JPL WMS server of the new HiRISE imagery. Unless I am thinking wrong… I should have it somewhere in a World Wind folder. The program 3DEM can automatically download Martian MOLA DEMs. If the HiRise data were available in georeferenced, orthorectified format, it should be possible to create 3D versions of those images by overlaying them on top of the Martian terrain. 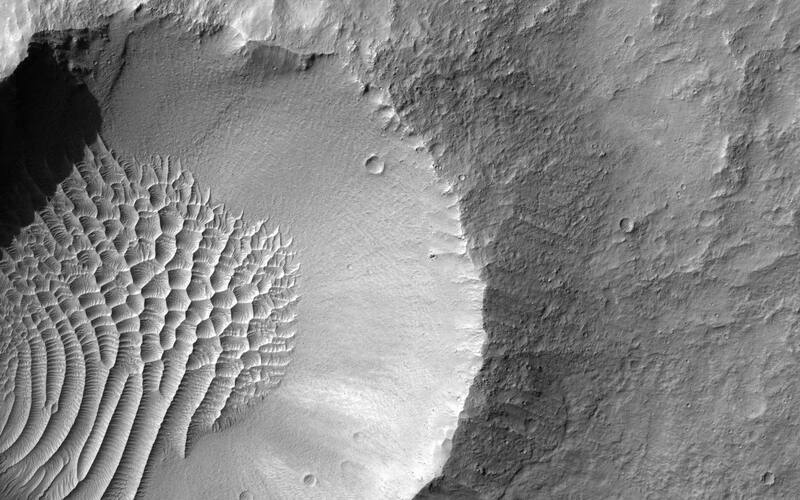 I’ve looked, but can’t find whether any of the HiRise images are available in that format.